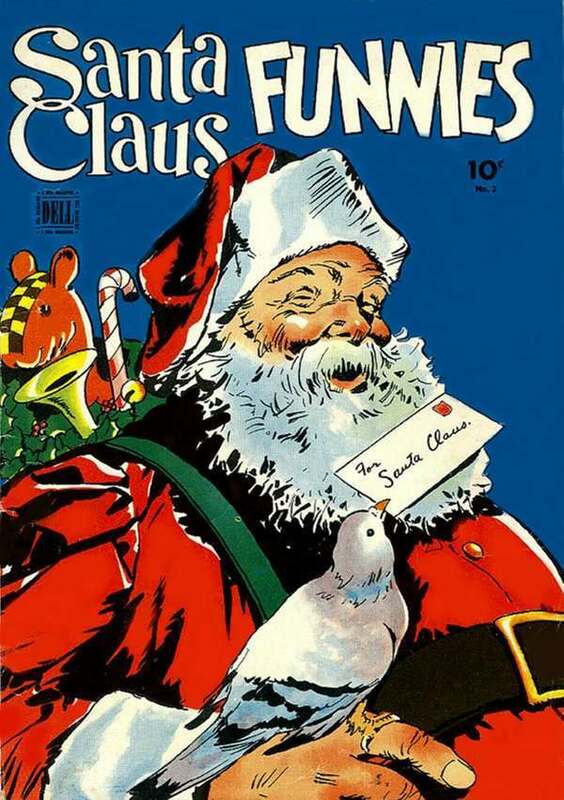 If you want to check out five of the most lucrative Christmas themed comic books, then please, have a look at the following list devised by Ashley Cotter-Cairns. Each comic would make a great gift for this holiday season, and would positively make you go ho-ho-ho all the way to the bank. After all, Ashley values comics for a living and knows exactly what he's talking about. Here, get a load of this for five of his yuletide recommendations! Please enjoy. 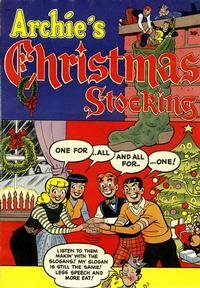 This issue is over 60 years old and began Archie's annual tradition of producing Christmas themed stories. Being the first of its kind it's definitely the most collectible, especially if you take into consideration that Christmas is a time for sentiment, and Archie collectors are nothing if not sentimental, for a time when American children were simpler and much more innocent (Though they tend to be packed with innuendo, so adults could enjoy them as much as their kids). ACS #1 is a pretty popular book and seldom turns up in condition above VG to FN. So please, don’t expect it to out-perform the stock market in that shape, but it will always find an appreciative new owner if you come to sell it. If you can find one in VF or nicer condition, then you have a major asset. Yes. 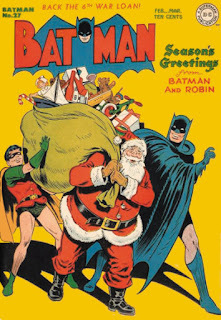 I know the artwork printed on this cover is pretty damn hokey, what with it sporting a design that would make any Dark Knight blush as bright as Rudolph the reindeer's very red nose. But hey, it's Christmas, and Christmas is meant to be a bit hokey, isn’t it? Plus you have to remember that this book was produced at a time when gay meant happy and phone's weren't portable. Admittedly, Batman #27 does turn up quite often if you’re not picky about its condition (unfortunately that bright yellow cover doesn't do it any favors, as dirt and creases show up really easily). 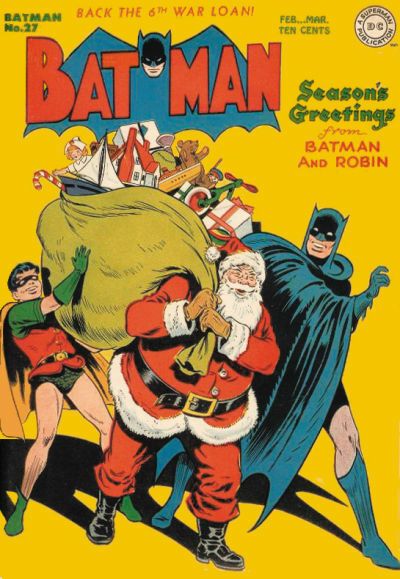 Yet the good news is that Batman has a strong following and this book will hold its value, despite the relative disinterest in Christmas comics among collectors. I think it’s a decent investment in grades above VG. For a more readily-available and very affordable alternative to all of these expensive oldies, here’s the classic comic featuring Peter Parker and drawn by Todd McFarlane, the famed Canadian artist. 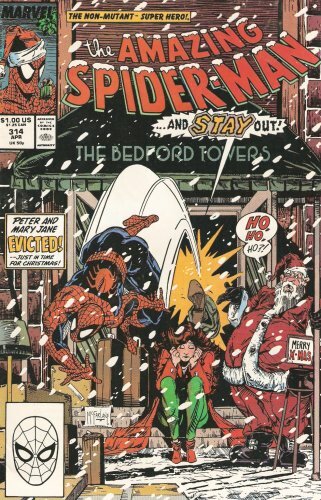 From the looks of it, Peter and MJ have been evicted from their apartment on a snowy New York night, while a local store Santa looks on in bemusement. So with a little luck, hopefully the story inside is much more enlightening than what we see on the outside! Unsurprisingly enough, this is one of the few issues by McFarlane which isn't very valuable, as you can find it in top shape for only a few bucks. 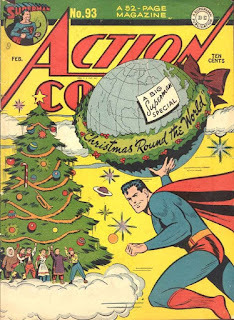 Once again we return to the Golden Age for this classic cover depicting the Man of Steel flying with the world wrapped-up as a gift. So, if you like your Christmas covers to feature trees and good news, hey, you're in with a bit of luck. Just like most Golden Age comic books, this one regularly turns up in Good to Very Good shape, but to find a high grade example is pretty tricky. 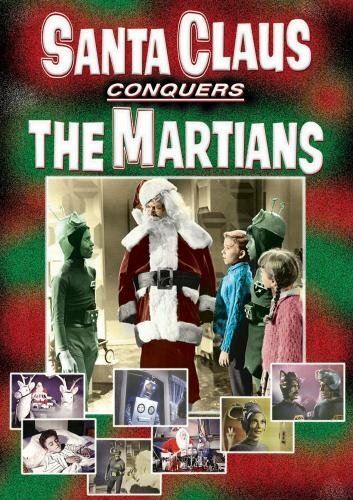 Fortunately, Christmas covers are not as popular as action-packed fight scenes or war issues, so this book will be relatively affordable, but only if you can find a good one. Thumbs up! Cheesy grin! Now this weird and wacky addition to our list is actually a comic book dramatization of a movie of the same name (click here to see what I mean). But more importantly than that, the movie itself is ranked at #77 on the worst-rated movies of all time, so what that says for the published comic book is anybody’s guess! Either way, Golden Records produced a vinyl LP to coincide with its release, so you can listen along to the comic book while you are reading it. Despite it being over 50 years old, this is Ashley's #1 Christmas choice for people who don’t much like Christmas OR comic books! Besides, copies can be picked up very cheaply, so what have you got to loose?